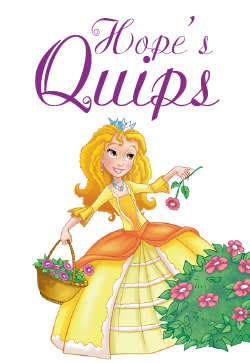 Quips are designed to equip young moms with a way to make the Princess Parable Series come alive in the hearts and minds of your little princess. Each book is a life-lesson. The questions for each book will tell you what was initially understood as the book was being read; what the need of your little princess might be as she identifies with the princess in the book; and how can a life-lesson be applied.